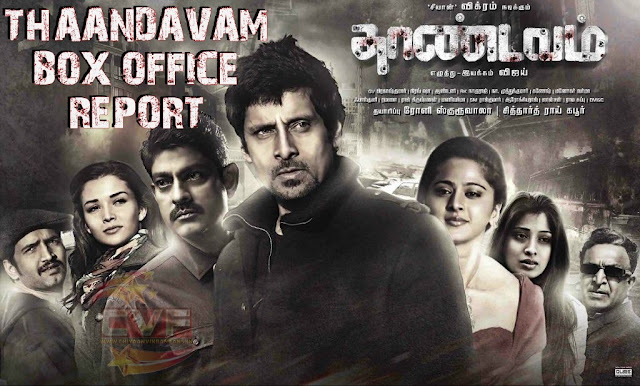 In Grand Opening Weekend, Dr. Chiyaan Vikram's Thaandavam has collected around Rs. 2 crore ( Rs. 1,92,15,635 ) in its first weekend at Chennai Box Office. The film has collected Rs. 67,45,191 ($128,000) on 32 screens in its first weekend at USA and Thaandavam has turned as biggest opening weekend grosser in Vikram career at US BOX OFFICE. Average working out per screen Rs. 2,10,787 ($ 4,000). In UK the opening weekend,the film has collected £ 40,520 [Rs. 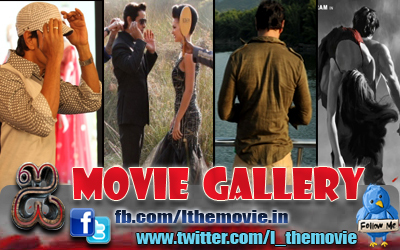 34.54 lacs] on 17 screens, with the per screen average working out to £ 2,384.